Veterinary Health Center is a Veterinarians facility at 305 N. Center Rd. in Saginaw, MI. 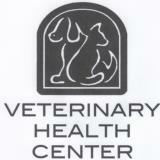 Services Veterinary Health Center practices at 305 N. Center Rd., Saginaw, MI 48638.